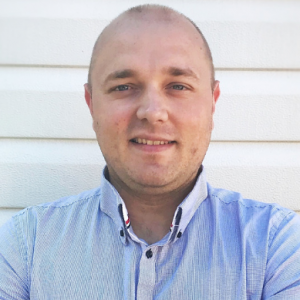 Ales Gosek, CEO at Eastern European VAD Aero-IT, started it’s journey in Wi-Fi space at the age of 24 as a system engineer at one of the small ISP providers in his local town, where he help to deploy various public Wi-Fi projects. This is where he realised the importance and impact that Wi-Fi technology brings to the market and people, therefore he decided to start his professional career as a Value Added distributor serving partners and customers with consulting and deployment services across the complete Eastern Europe. Today after 6 years, Aero-IT is serving more then 500 customers, together with 80 partners across 7 countries and expending every year. Ales today works closely with customers and partners from all industries, developing solutions and tailored use cases for carrier, retail, hospitality, enterprise, Government and warehousing environments.